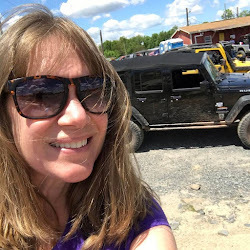 NorthEast OffRoad Adventures ~ held a hi-lift / winching class. Jon, a i4wdta certified trainer, shared some really great recovery tips. He also showed us the many different types of recovery gear. One piece I had very little knowledge of was the soft shackle. 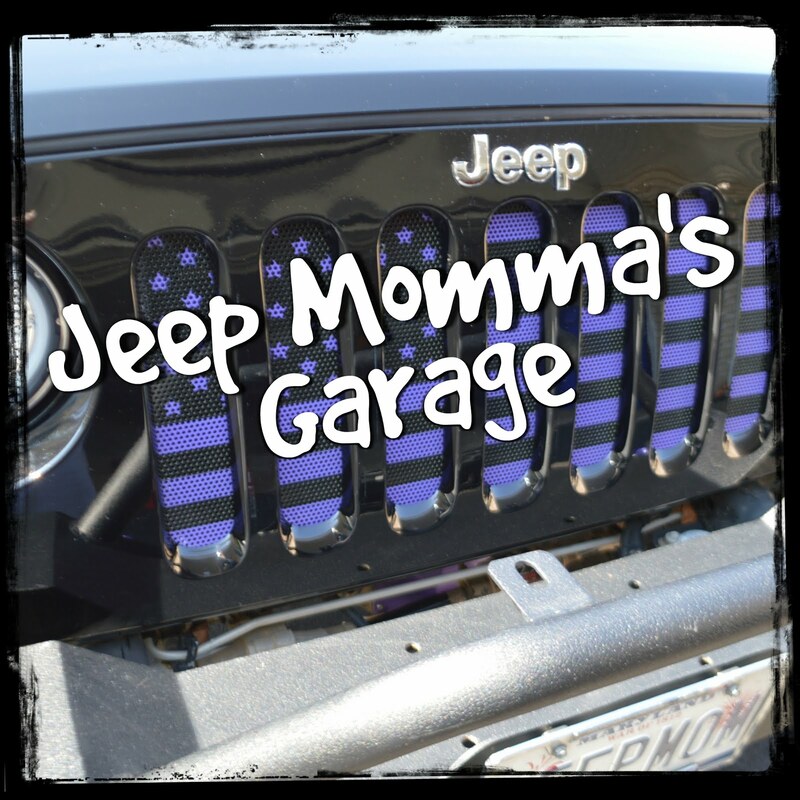 Jon sold me on the importance of this cool Jeep item. I decided to get suggestions from my fellow Jeep friends about which one I should buy. There were many suggestions. Thanks everyone! 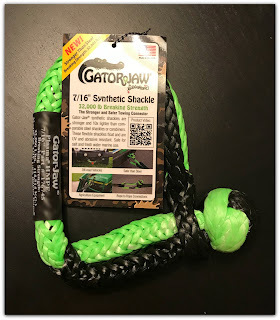 I decided to go with the GatorJaw 7/16" Synthetic shackle from OK4WD ~ Thanks Christie!!! These things are beast. They have a 32,000 lb breaking strength. They are stronger than the steel shackles, and 10 times lighter. These flexible synthetic shackles float. Plus, you don't need to unscrew your shackle to use them. They just slip right thru the D-ring. I look forward to breaking mine in. 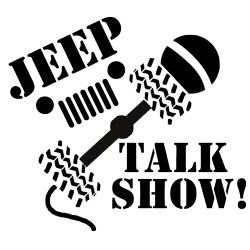 Well... not on my Jeep, but maybe I could help another Jeeper out.